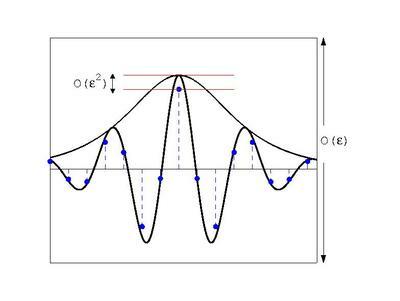 The paper “Justification of the NLS approximation for a quasilinear water wave model“, co-authored by Guido Schneider and Eugene Wayne, has been published in the J Differential Equations. Nonlinear normal form transformations are used. Quasilinearity causes some loss of regularity, which is dealt with by using a Cauchy-Kowalevskaya-like method for the IVP and nontrivial resonance is dealt with via a rescaling argument. A link to the paper is here. A corrigendum for this paper can be found here. On the other hand, Guido Schneider, Danish Ali Sunny and Dominik Zimmerman show, in “The NLS approximation makes wrong predictions for the water wave problem in case of small surface tension and spatially periodic boundary conditions“, published in the J Dynamics and Differential Equations, that in general the NLS approximation makes wrong predictions for the water wave problem in case of small surface tension and spatially periodic boundary conditions. A link to the latter paper is here.